Tom, a member of the laborers' union who wants to leave, was told that he would have to continue to pay in nearly $3000 a year into the union pension fund whether or not he remains in the union. 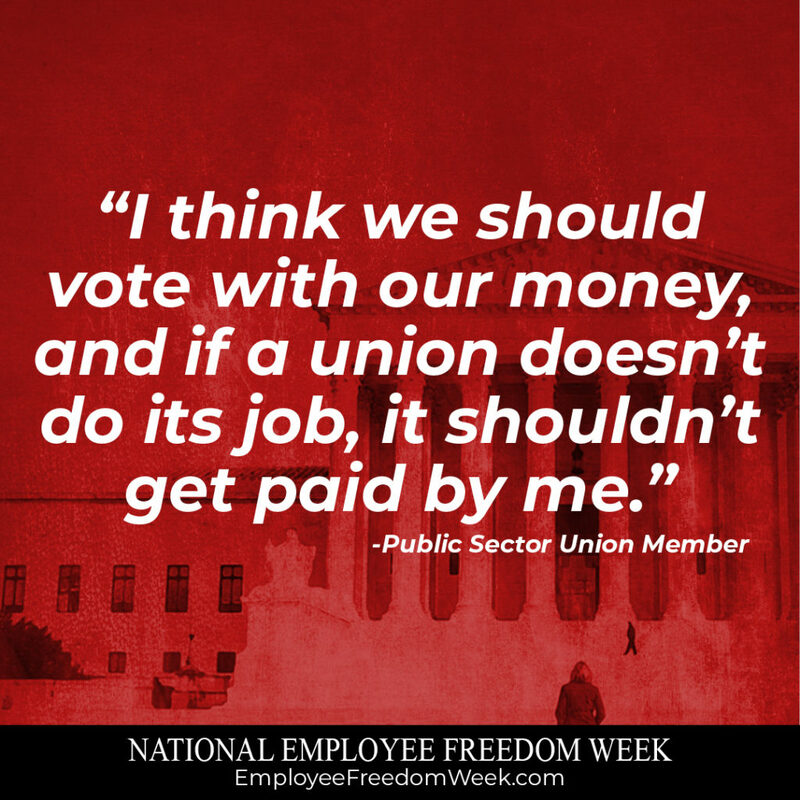 Michelle, an employee from a northern RI municipality, who opted-out right after the Janus ruling: "I don't understand why some of my friends continue to pay their dues despite their political views being completely opposite of what the union supports." Ken from Providence, RI: "I (work) for the city of Providence for the past 4 1/2 years. A concern I have always had is my dues going to candidates I do not agree with.We do not get to vote on who we can support etc. I approached my Union Steward on Friday 7/6/18 to see if corporate offices of the Steelworkers were working on some sort of mailing or packet on Pros and Cons of this (Janus) ruling. Their answer was. "You are in a contract till this one expires". Another member of the union overheard conversation mimicking those words. I informed them they are wrong." Karen Chen from Chino, CA: "If you disagree with the political positions your union takes, why do you give them a dime?" Karen is an elementary school teach who decided to run for the local school board. But not only did her union refuse to endorse her ... her own union came out in full force against her by sending out hit pieces to their members, handing out flyers or placing them on cars. Karen was forced to pay dues to an organization that was spending her own money against her! Karen won her race ... and is a supporter of the Supreme Court's decision. Elizabeth G., NJ: "I never asked the union to work for me. I'm not really a free rider. I'm more of a forced rider ... I didn't have a choice."